The hothouse industry has a rather short history compared to most industries that we work with. It all began in the early 90’s with a customer of ours called Western Greenhouse. Growing vegetables in a Greenhouse was a new idea to North America brought to us from the Netherlands where flower growers branched out and became the first to start growing vegetables in greenhouses. The lower mainland of British Columbia, with a similar temperate climate, was seen as ideal area to try this growing method. The industry quickly grew into a major centre for Hothouse growing. Pepper, cucumbers and tomatoes are shipped throughout North America from British Columbia. 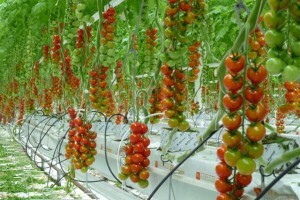 The expectation is that more produce products will be coming from your local greenhouse in the future. 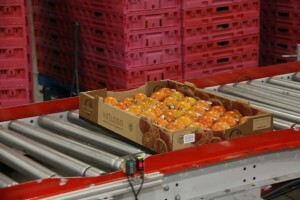 Crown Packaging was there at the beginning and continues to be the largest supplier to the hothouse industry in BC. Our knowledge and expertise in the requirements of the industry and our customers is unmatched. Whether plain or 5 color process printed, machine erected or hand-folded, die-cut or rsc, we were there to help with design and implementation including the industry’s standard footprint.